harnesses the therapeutic purifying power of Aussie Pink Clay for its first pedicure collection. Pink Clay detoxifies and deep-cleans while a naturally gentle exfoliating action unveils a new layer of soft, touchable, glowing skin. Enriched with minerals, antioxidants and intensive benefits, it also hydrates, nourishes and revives tired, tough soles, leaving them silky smooth, radiantly refreshed and replenished. This purifying foot soak cleanses and hydrates dry skin. 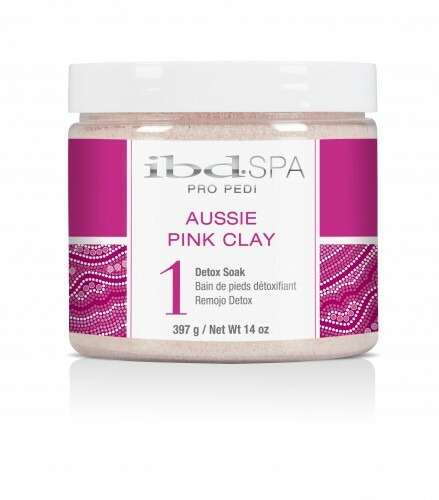 This pink clay enriched formula not only softens the skin in preparation for the pedicure, but also helps to improve the skin tissue.